- Haile Gebrselassie talking about his desire to end his career with an Olympic gold medal in London next year. Even though he has two Olympic golds in the 10k, it still bothers himi that marathon gold is still missing. His journey towards London beings tomorrow as he needs to run a time fast enough to secure him a spot on Ethiopia's team for 2012. 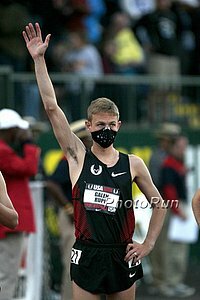 Should Centro finish is 5th year of track at U of O???? *Top US 800m Runner Feeling Intimidated Going Into 5th Avenue Mile Alysia Montaño, Maggie Vessey, and Nick Symmonds are in the field and not sure what to expect. *As World Champ: Jenny Barringer Simpson Steals All The Press's Attention As The AP Profiles Her "I still haven't seen any of the papers, any of the headlines, or read any of the articles. I'm excited to indulge and enjoy all of that." 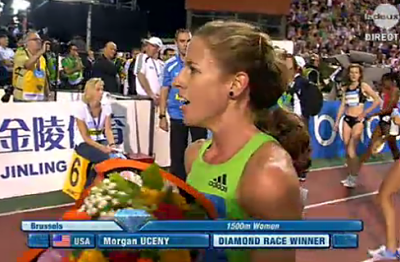 We hope she reads the letsrun.com archives from Sept. 1 or Sept. 2, as our sport is suffering in the mainstream press. *Sports Illustrated: Simpson Sheds Title Of Underdog Despite the title, we believe she's definitely the underdog at 5th Avenue. The article is great, as it reveals Simpson is serious about a law career and includes Simpson's reflections on her stunning 169th-place showing at NCAA cross-country as a 3:59 performer. *Joe Battaglia Doesn't Forget Morgan Uceny Uceny wants to win in NY but knows it won't reverse her WChampionships fall. *The Wall Street Journal Looks At The Magic Of The 4-Minute Mile In Anticipation For 5th Avenue Quotes from Jenny B, Lagat and many more, including Eamonn Coghlan and Ray Flynn. *Haile Gebrselassie Talks About The Match-Up Between Mo Farah And Kenenisa Bekele At The 2012 Olympics He says he doesn't think Mo Farah should move up the marathon after 2012. 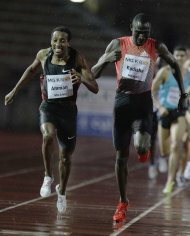 *Haile Gebrselassie Vs Patrick Makau In Berlin Sunday Both seem eager to call the other one as the favorite. This will be Geb's first marathon attempt since dropping out of NY last November. 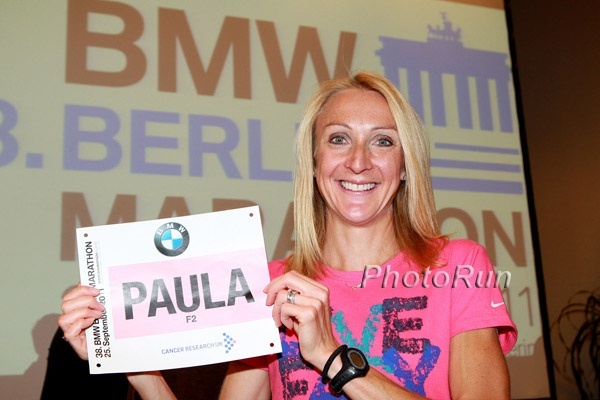 *For Paula Radcliffe And Haile Gebrselassie "Age Is Just A Number"
*Will Berlin Be The Start Of Paula Radcliffe's Comeback? *Paula Radcliffe To Her Rivals: ""Let them think I am old and can't do it any more." 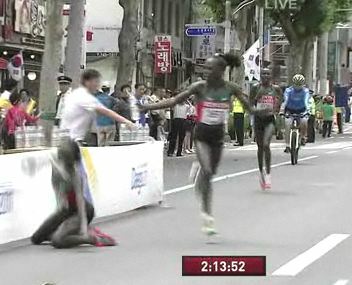 *Haile G Focused On A Fast Time, Not Victory At Berlin He needs a fast time to make sure he is selected by Ethiopia for the 2012 Olympics. AW: Relaxed Radcliffe ready to run in Berlin It's her first marathon since Nov. 2009 and just her 3rd race since then and she needs to hit 2:31.00 (which should be a joke for her). *Radcliffe - New WR Rule Is Ridiculous: "I fully believe that I would have run pretty much the same time that day alone." *IAAF: Is Berlin Radcliffe's moment of truth? Canada Won't Follow IAAF Road Record Rule They say that national records run by women in mixed races will stand. Half Marathon WR Holder And London Marathon Champ Mary Keitany Up Against Boston Winner Caroline Kilel In Lisbon Half Marathon On Sunday For the men 2010 World XC silver medallist Teklemariam Medhin. Switzerland's Viktor Rothlin is also in the field and then apparently "Blade Runner" Oscar Pistorius is in the in the "8K ‘mini marathon’"?